What is AEIS Tuition in Singapore? 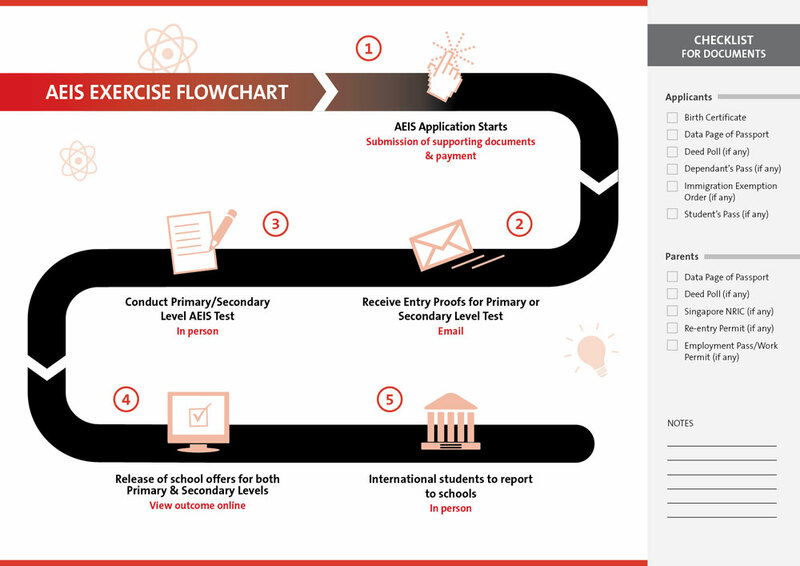 The Admissions Exercise for International Students (AEIS) is conducted by the Ministry of Education (MOE) Singapore. It’s usually held around End of September and beginning of October in each year for international students keen in joining Singapore Government Primary and Secondary Schools in January the following year. AEIS Examination: Mathematics and English. It is an opportunity for you to send your child to adapt the Singapore educational system. This AEIS Examination focuses on two main subjects: Mathematics and English. It is crucial for your child to do well in both Mathematics and English Examinations in order to secure a place in a good Government School. Without proper guidance, your child might not know what to expect in this AEIS Examination as standards are vary in different countries in South East Asia. Stanford Tuition Agency provides tutors who specialise in Mathematics and English to teach your child to meet the required level as per local MOE syllabus. We provide our tutors to teach both Primary and Secondary level for the international students from South East Asia. In fact, our tutors are very familiar with the Singapore MOE School syllabus. Our tutors know what is expected in the AEIS Mathematics and English Examination Papers. Singapore MOE School syllabus is much higher than many South East Asia School syllabuses. Our education system is high and competitive so it is a lot to learn before the AEIS Examination date. We advise the parents to send their child to Singapore earlier to start taking AEIS Tuition. From the past experience, we noticed that the students need at least 3 to 6 months of AEIS Tuition in order to do well in both Mathematics and English paper. We highly recommend that the child take up AEIS Tuition before going for the AEIS Examinations. Our experienced tutors will ensure that the child has proper tuition with a lot of practise with mark-up worksheets. Since Singapore educational system is very challenging for the international students. With a good head start, we can help your child to do well and beyond. AEIS Test Tuition for Primary Level. Duration: 2 hours per lesson per subject. International students between the ages of 7 to 17 who wish to be admitted into Primary 2 to 5, and Secondary 1 to 3 are eligible to take the AEIS. Note: There is no admission to Primary 6 and Secondary 4 levels as these are critical year, when the PSLE (Primary School Leaving Certificate) and GCE O-levels exams are being conducted. AEIS Test Date: 20, 21 and 22 Sept 2018 . AEIS 2017 will be conducted on 20, 21 and 22 Sept 2018 and Registration opens in July 2018. Please register for the TEST at MOE’s website. IMPORTANT: Registration for the AEIS Test will close when all available places are taken up. To engage a private home tuition tutor, please submit the "Request-Tutor-Form" or Call us : Mobile: 9385-5548 for Assistance. We also accept voicemail, texts, What'sApp, if you want us to call you. We will find a suitable private home tuition tutor for you, as per your Request-Form. Feel free to browse the links on this site for more information. Link to TEST-FORMAT.